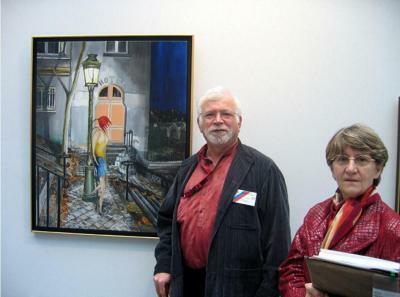 “ Born in 1946, Jacques GUIGNARD paints his first work at the age of 15. He studies at the renowned school of Beaux Arts in PARIS, and as did Le Corbusier, follows the 2 careers of architect and painter. With the turn of the century, comes his inspiration to transpose the world into a floral expression. Through a work rich in colors and precise in shapes and forms, “J.G” leads us a more detached look at the world around us “. Jacques GUIGNARD Old President of Europeen Academy French Arts.